Our range of fully automated digital laminating solutions offering either single or double sided laminating in a single pass and on sheet sizes up to B2. GMP range offer latest foiling techniques whilst Fujipla range offer 4 sided trimming. 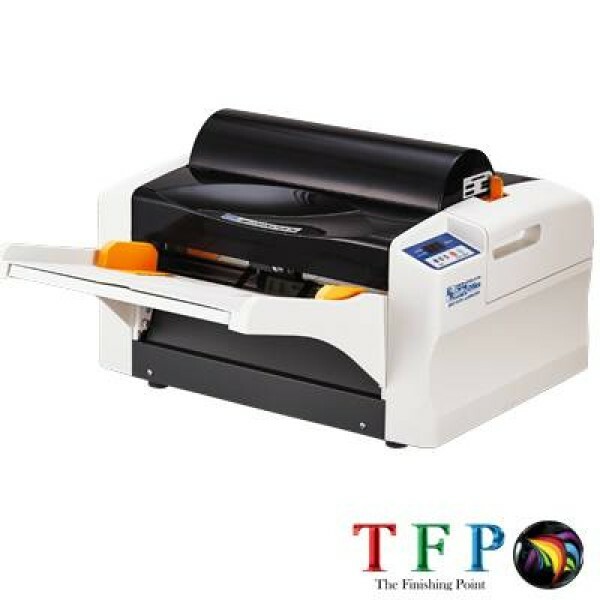 Automatic laminating machines take the stress and more importantly the effort out of laminating and encapsulating jobs. Your print engine is automated so why can't your laminating machine offer the same versatility and ease of use. Free up huge amounts of time by loading up and walking away, what could be easier. 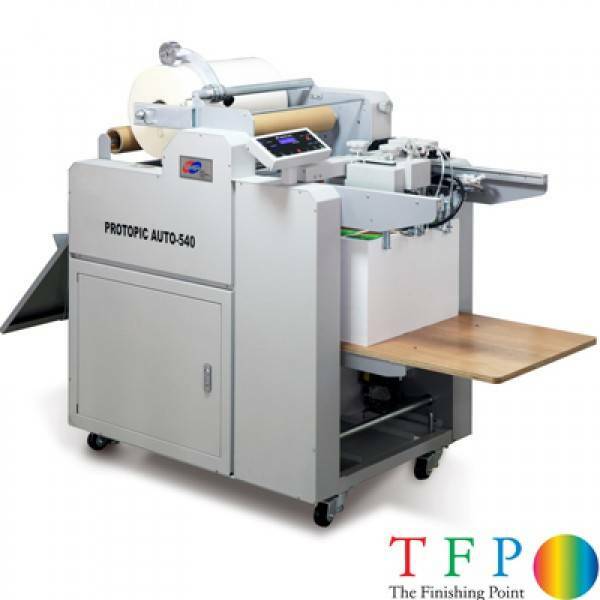 Our diverse range of automated laminating machines suit a wide array of environments, requirements and volumes, everything from compact desktop automatic laminating machines such as our new and exclusive Multi-Lam Burst Auto and Multilam Foil FX Auto through to our range topping GMP Pro-Topic Duplex Auto. 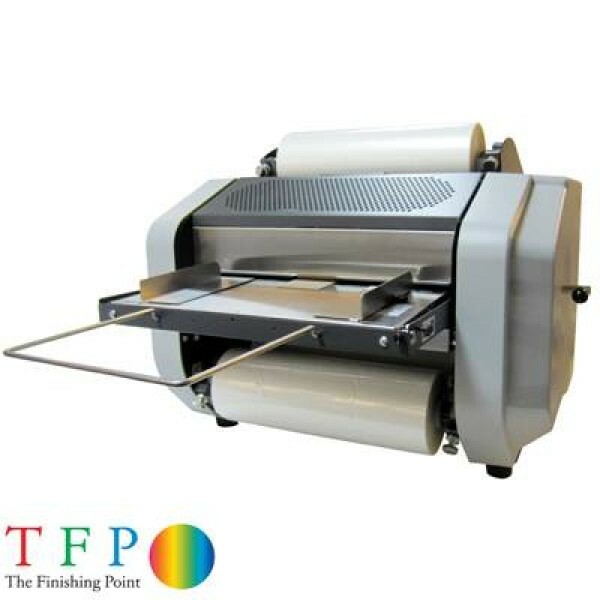 As a result whether you are a commercial print finishing company, a local copy shop on the high street or an education facility looking to free up time, we have the automated laminating machine for you. 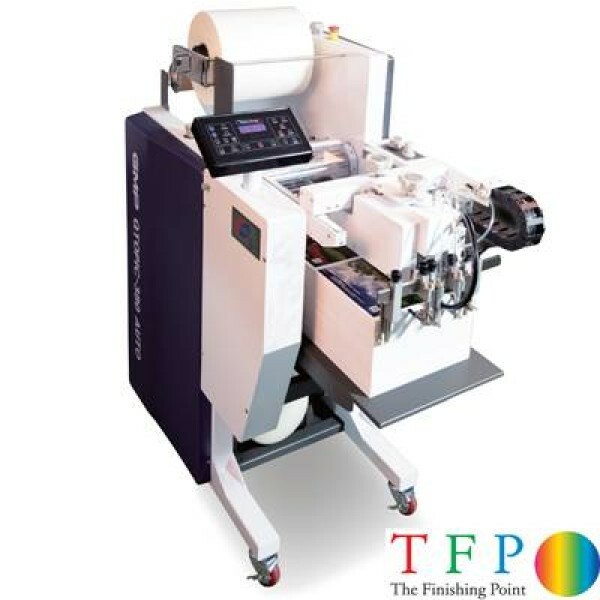 Automatic laminating machines for the short to medium run digital print markets are still relatively new but are a rapidly expanding sector of the UK laminating machinery market. For years automated laminating machines have been specialist equipment and purely designed for high volumes such as those produced using traditional printing methods. This format in today's fast paced digital print marketplace simply does not make economic sense, and not just because of the cost factor on these large machines. Often digital print volumes are low and very bespoke, just the nature of the business and the main reason why digital print has taken the place of the traditional printer. As a result installing a machine that takes up huge amounts of space and requires a dedicated operator just does not add up for this environment. As a result the leading manufacturers in digital laminating machinery design have created a new range of automatic laminating machines which perfectly suit the digital short run print market. Machines such as the GMP Q-Topic Auto offer unrivalled productivity thanks to a 350mm pile feeder partnered to a high end vacuum feeder which physically lifts the sheets into the laminating machine, very similar to the method used on traditional printing presses. This feed method allows the machine to run unattended for higher volumes and yet can be setup to produce just 10 sheets in under 1 minute. As with all the GMP digital range the Q-Topic Auto & Pro-Topic auto models both offer sleeking and foiling as standard directly out of the box without the need for any bolt on parts, thus allowing you to not only bring laminating in house but also create your own bespoke creations. For some even the compact Q-Topic Auto will be too large or simply not required, this is the reason we sourced our own product range we call the MultiLam. The Multilam Auto range is split into two different products built around the same platform, the MultiLam Foil FX offers automated feeding for single & double sided laminating as well as the ability to also offer the latest sleeking and foiling techniques. 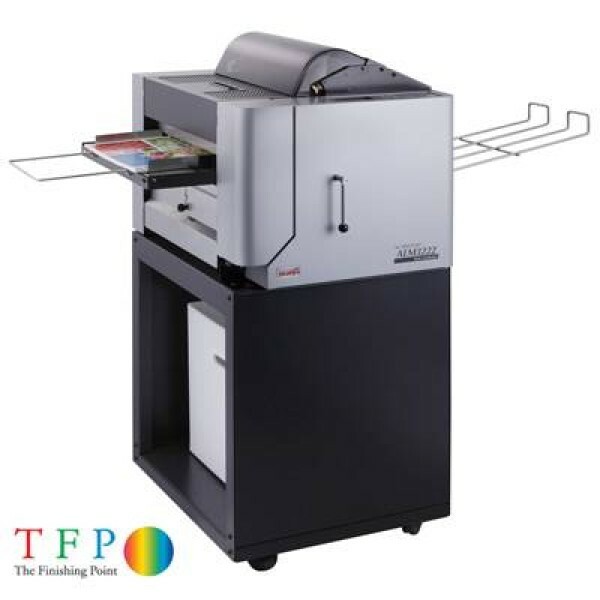 The MultiLam Burst Auto also offer single and double sided laminating but instead of the foiling adaption the Burst model has an integrated sheet bursting device meaning no operator is needed, the sheets are auto fed and auto split on exit. Automated laminating put simply speeds up production, frees up time, reduces reliance on staff and can significantly improve your profitability.